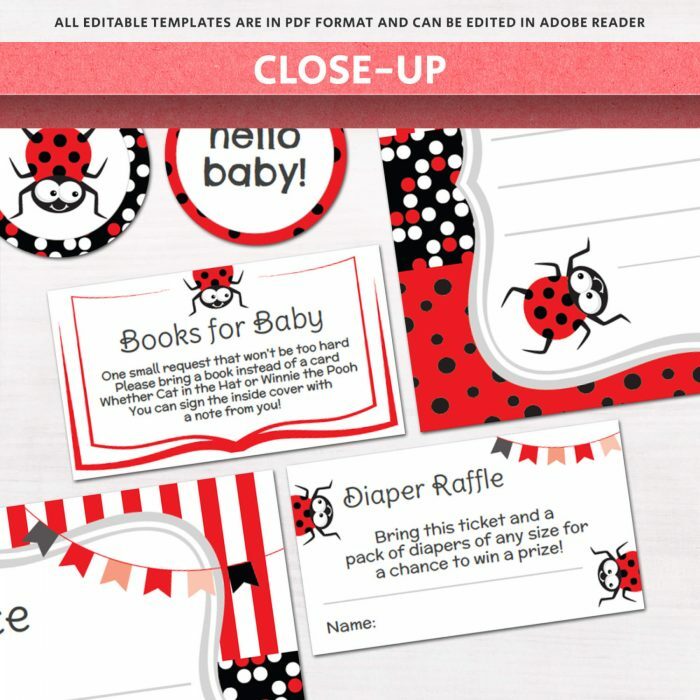 This Lady Bug Baby Shower Invitation Kit comes with editable templates for invitation, diaper raffle tickets, books for baby inserts, advice & thank you cards, and round cupcake stickers. Replace the text in Adobe Reader to customize for your party. To edit files, they MUST be opened in Adobe Reader on a computer. They will not function as intended in any other software. → All text can be modified within the space allocated. For example, the date line can accommodate 1 line of text, the details below the date can accommodate 7-8 lines of text. → Horizontal red lines are part of the design and cannot be adjusted. 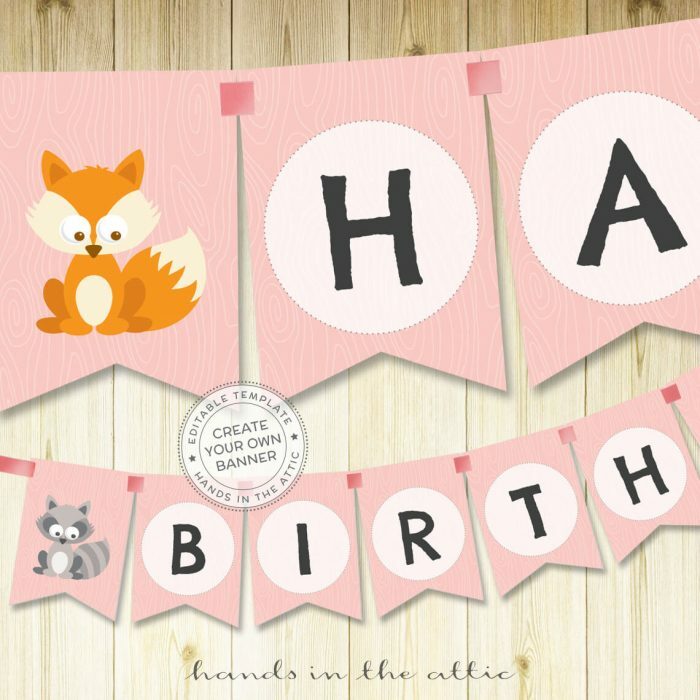 → Extra blank JPG is included - Use this in Photoshop or online editing software and add your own text. 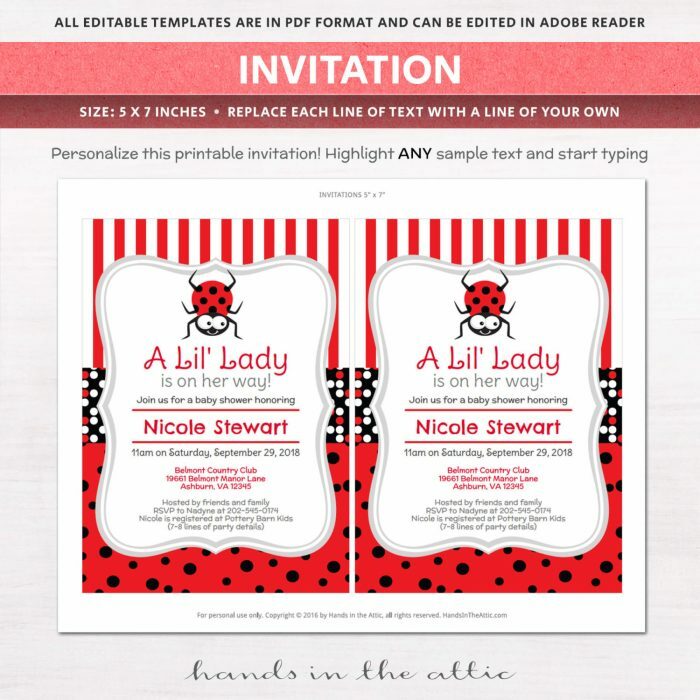 Printables and templates in this Lady Bug Baby Shower Invitation Kit can be easily printed at home! 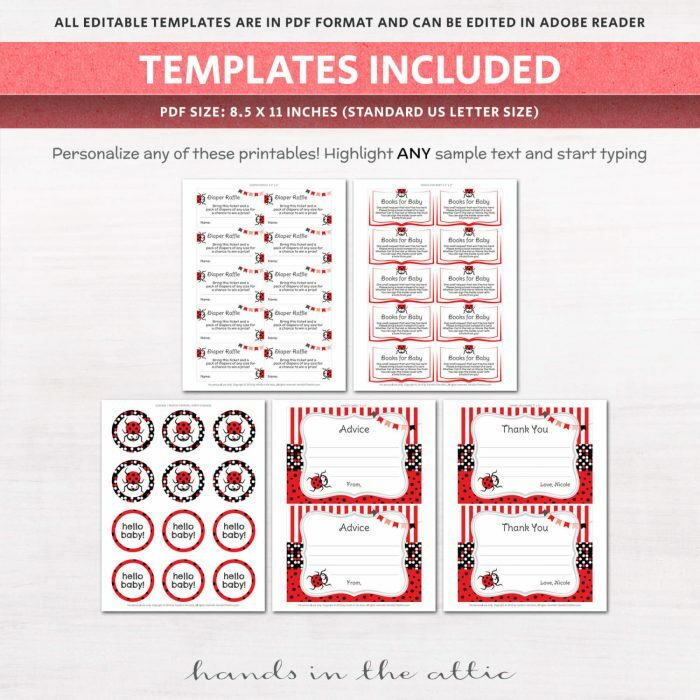 The templates in this kit can be edited to make them uniquely yours. To do so, open the file in Adobe Reader and type over the sample text. 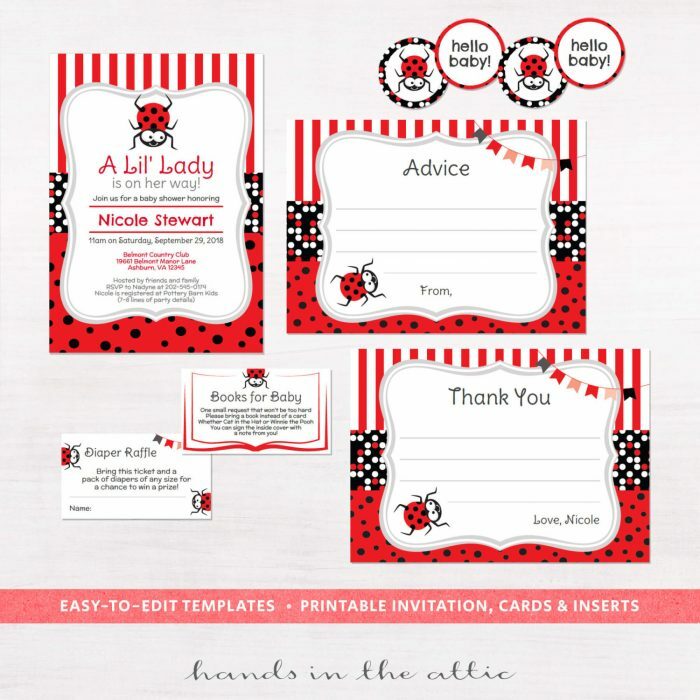 Once you are happy with the personalization, save and print each file on letter-size card stock or paper. All products on Hands in the Attic are digital. No physical invitation or cards will be sent. Print on letter-size paper (8.5 x 11 inches) and use the guidelines to cut out the cards.